Handmade, in a similar but unique flowers as you make your exclusive, unique phone shell. Natural real flowers After each flower flowers solidification textures are clearly visible, different attitude, different colors. 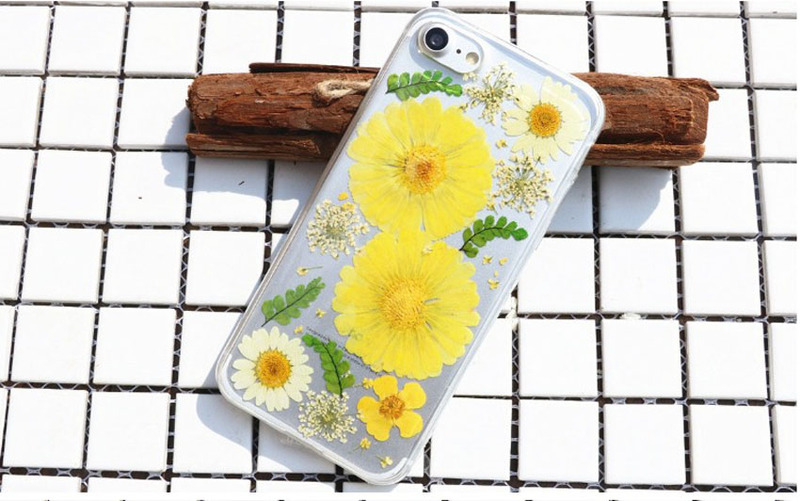 Pretty real dried flower and leaf embedded design, for best showing the phone and make your phone a luxury look. Fit for smartphones like Xiaomi Mi5/Mi 6, Huawei P10, Vivo X20/X9, OPPO R11/R9/R9P, iPhone X/7/8/7P/8P, etc..
Notice: Because this case made by real flowers, so it is not Exactly the same as the picture.